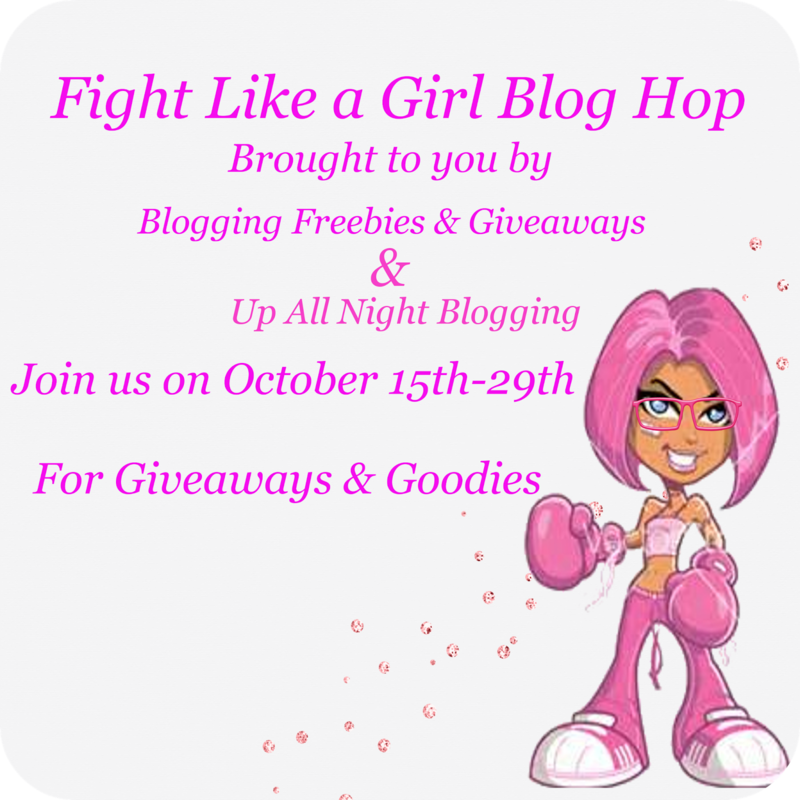 This giveaway is part of the first annual “Fight Like a Girl” Blog hop brought to you by Blogging, Freebies & Giveaways & Up All Night Blogging! After you check out my review of the gorgeous products available from Lilla Rose and enter my giveaway, make sure to hop on over to all the other great blogs for more chances to win some great prizes! Lilla Rose is a company that offers beautiful and functional hair jewelry. They started with the Flexi Clip (which is similar to a regular hair clip but with some major improvements) and now also offer hair accessories like Hair Sticks, the Flexi Oh!, Hairbands, You-Pins, and Bobby Pins. When Jayme, a Lilla Rose independent consultant, contacted me about doing a review and giveaway, the most difficult decision I had to make was picking out just one Flexi Clip to try! If you haven’t seen all the beautiful designs they have, you’re missing out. From simple to stunning, there are designs to meet every style and personality. I have long hair, but it’s very fine and slippery. With a lot of hair accessories, they’ll end up sliding right out of my hair. Sometimes they’ll stay put for an hour or two, sometimes they’re falling out before I even get out of the bathroom. I usually end up resorting to scrunchies or plastic claw-style clips (and even those slide out unless I wrap my hair into a bun). What’s great about the Lilla Rose Flexi Clip… wait, let me start over. There are a lot of great things about the Flexi Clip. First, they come in multiple sizes. If you have a lot of thick, coarse hair, you can get the design you like in a large size. If you have thin, fine hair, you can buy a smaller size. For me, the extra small size works for most hairstyles I like – the “half up” or a ponytail – and going up one size to a small would probably cover any bulkier styles (like a twist). The second great thing about this clip that I want to share is that it DOESN’T FALL OUT! Even with styles that require smaller amounts of hair to be inside the clip, it stays put, which is awesome. The top of the Flexi Clip is, as you may have guessed, flexible. It has a little give to it. The pin that goes through the clip is attached to the clip itself (great thing #3, as I’ve lost those little pins more times than I can tell you). The pin also has notches on the end (great thing #4) that line up with a little bar at the end of the clip to help secure the clip in place no matter how much (or how little) hair you’re holding. Between the flexible clip and the notched pin, I can even shake my head around and the clip doesn’t slip the slightest bit, even in a half up style. The final great thing about the Flexi Clip that I want to mention is the absolutely stunning designs. There are so many to choose from! I’ll share a few of my favorite designs here, but you really need to check out Jayme’s website to see them all. In addition the Flexi Clips, Lilla Rose also offers left-handed Flexis (by request), Bobby Pins, You-Pins, Hair Sticks, Headbands, Flexi-Ohs, and Badge Clips (with a separate option for adding a breakaway). If you’d like to purchase some stunning Lilla Rose Hair Jewelry for yourself, you can visit Jayme’s website to see all the different products available! Pricing varies based on product, size, and design – the Tidepool Treasures Extra Small Flexi Clip I reviewed retails for $15. And when you register on Jayme’s site, you’ll be able to take advantage of some great sales and special offers! In fact, there’s a 72 hour sale happening right now! From October 16th through 18th, get 10% off everything, and 15% off select styles! To enter, you do need to be new to Lilla Rose – you cannot already be a registered customer of Lilla Rose or its independent consultants. Winner will need to register on Jayme’s site to claim prize (up to $16 maximum value). This giveaway is open to US residents only and will end on October 29th at 1:00pm (EST). Up All Night Blogging We are a community of bloggers that love throwing giveaways and bringing you amazing prizes! 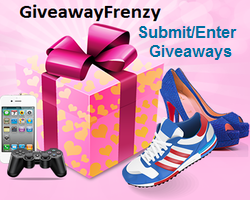 Each blogger on the list below has a minimum value of $10 but most giveaways exceed that limit! Be sure to “hop” along to each blog and enter to win some amazing prizes there is no limit to how many prizes you can win! please don’t forget sharing is caring! Let your friends in on the fun! DISCLOSURE: I received one or more of the items mentioned herein free for review purposes; nonetheless, all opinions expressed are my own unless noted otherwise. I am disclosing this in accordance with the Federal Trade Commissions 16 CFR, Part 255 Guides, Concerning the Use of Endorsements and Testimonials in Advertising. You must be a new customer to enter/win this giveaway (not previously registered with Lilla Rose or its independent consultants). Dividing by Zero is not responsible for prize fulfillment; the sponsor is responsible for shipping the prizes to the winner’s valid address (no PO Boxes). Your information will not be sold or shared; it is used by the blog owner only and solely for verification/prize fulfillment. This entry was posted in 2014 Holiday Shopping Guide, Giveaways, Product Reviews and tagged Beauty, Giveaway, Jewelry, Product review by Tara.Bookmark the permalink. A favorite of mine is the Flexi Mini Sea Turtle (4-0177). I love the 8-2095 Rosie Extra Large hair clip! I like the Roses, Jet, and Flitter headbands. I love the Tiger Lily – Amethyst! I like the open heart dangle. I like the Lovely Circle Aurora Borealis. Thanks for the great review and giveaway! I would love to have the 9-2046 Blossom Drops. My daughter would love it. She has really long hair. Linda Bradshaw , teachinmomma123abc at yahoo dot com. I love the decorated hair sticks! I always wear my hair in a bun and usually use a pencil to secure it. These sticks would be lovely! I love the autumn delight mini flexi. The item H1-0798 Rich Amber hair band is a favorite of mine. I like the Etched Daisies You-Pins on the site (UP1-1927). I love the Princess Tiara Dangle (1-0115)! So pretty! Thanks for the awesome giveaway! kristiedonelson(at)gmail(dot)com Thank you. I like the F2-2218 Freestyle & Silver – Large. A fave is the Tidepool Treasures Bobbie Pins. I like the Hues of Blue headband. The hair sticks are all really pretty. I like the extra small Freestyle & Silver Flexi -O clip. I don’t think i can name one favorite. My favorite three extra-small Flexis are Steampunk, Interlocking Vines, and Roman Stone. Hi! These are so cute! One of my favorites is the Scrollwork Heart Clip. So much fun! Thanks!! I love the Flexi Clips. Very pretty! I really like the Open Flower Gold bobby pins. I shaved my head last year, so I can’t use many of the cute hair accessories, but my hair is finally long enough for bobby pins! I really like the hair sticks, especially the ruby red and goldstone one. The Autumn Delights collection is beautiful. I love sea-inspired dolphin! All are pretty! I would love to win one of these awesome hair clips, I actually have 1 that I just love! They make your hair look so nice. I just love the flexi of the month: Autumn’s Delight. H1-2048 Parade of Color is gorgeous. I love the scrollwork heart. I love the You pins with the stars! The butterfly book bobby pins are adorable! Everything is really nice! I like the Roman Stone clip.